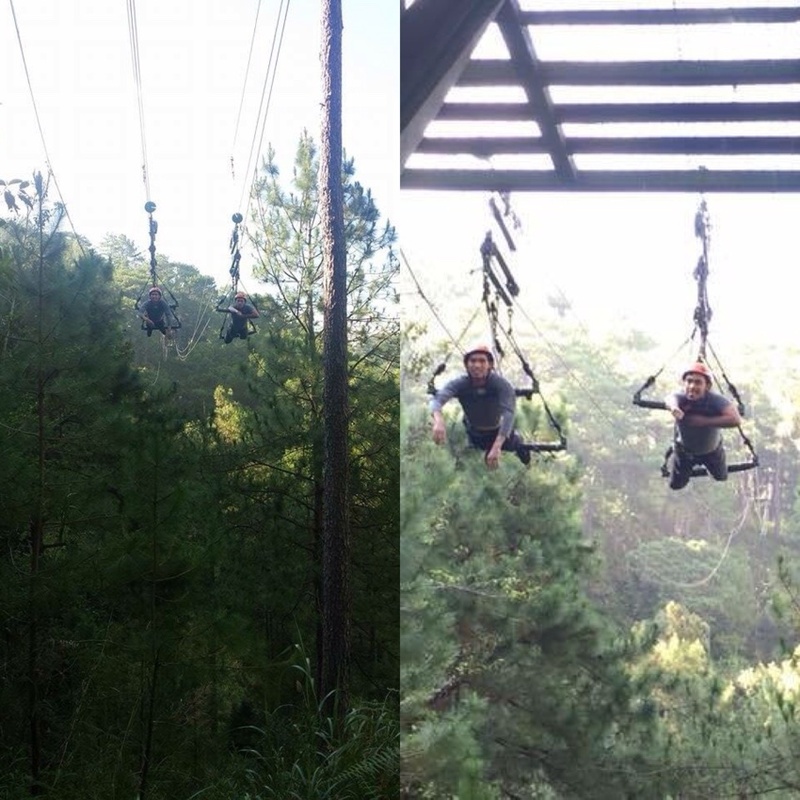 Tree Top Adventure, situated in Camp John Hay, offers a breathtaking nature tripping experience through offering several marvellous activities such as Tree Drop, Superman, Silver Surfer and Skywalk. They have the world’s first motorized canopy tour and jungle trails comprised of platforms nestled on branches. And the following are the activities where we actively participated. Imagine you are suspended 60 feet above the ground and will suddenly fall as fast as 2 to 3 seconds. Adrenaline rush will surely run through your veins. This is what Tree Drop is: an extreme adventure for the thrill seekers. I haven’t got the nerves yet to try this even though it is undeniably safe. I was just contented watching my companions do this activity and somehow felt their nervousness and satisfaction afterwards. My other companions experienced how a superhero fly and glide through the air with this Superman ride. They zip-lined backwards and then forwards 150 feet above the ground for about one minute and thirty seconds. Note: it’s more thrilling when it’s faster. 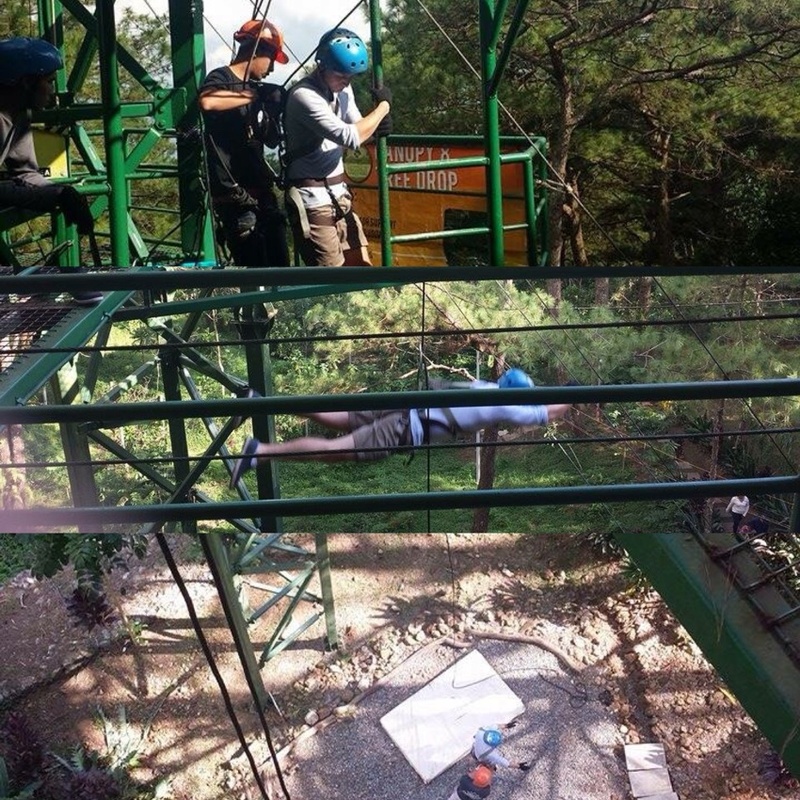 I glided up and down while standing on a specialised platform in a 60-degree diagonal motorised zip-line. There were a total of three cycles with stops and swings in each cycle. I thought it will fill my satisfy my craving for adrenaline rush but alas, it did not. 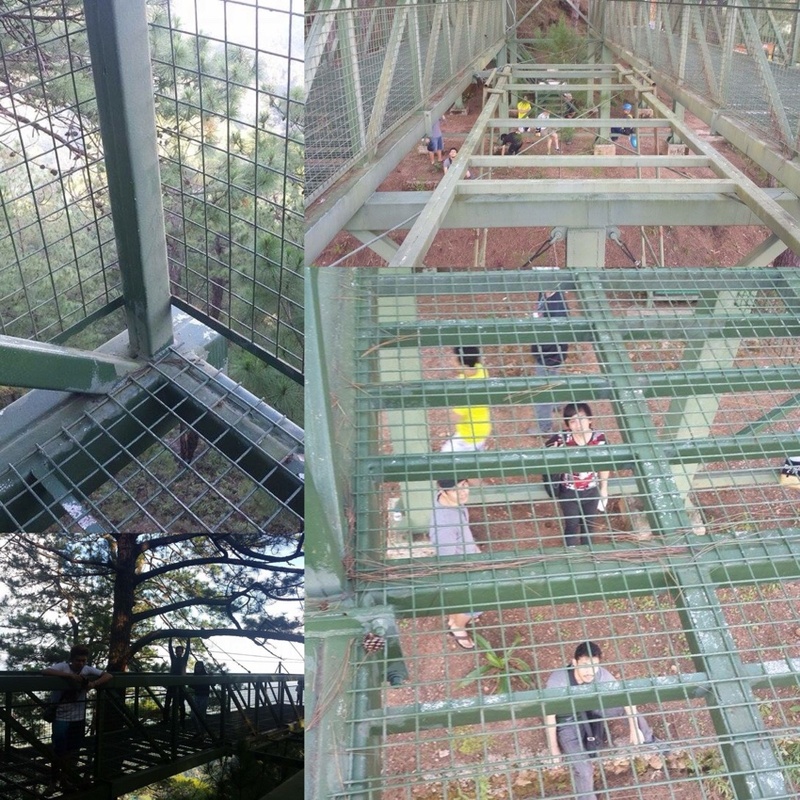 A more relaxing activity, my other companions tried Skywalk activity. 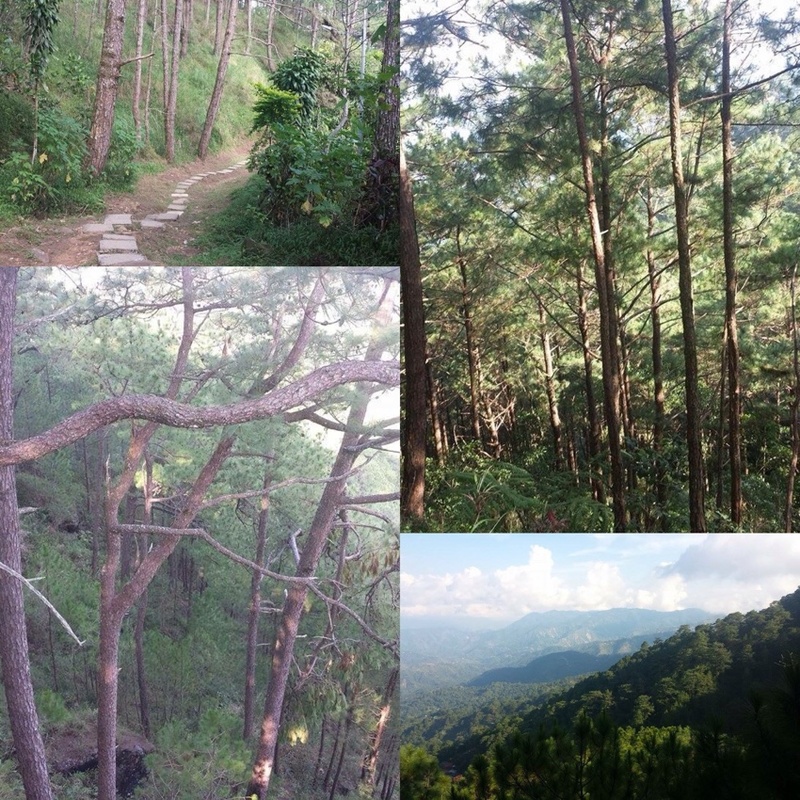 At Tree Top’s viewing deck, they took more selfies, with scenic mountains of Itogon and Benguet as their background. Cold fresh air enveloped us as we take this journey on. Nevertheless, we enjoyed the whole trip and appreciated nature’s beauty. This entry was posted in People & Events, Space Travel and tagged adventure, tree, tree top. Bookmark the permalink.